Two photos for the price of one today! These were taken in 1990 at Kingfisher Park in Port Macquarie, NSW (that’s my Aunt Rosemary’s hand in the first picture). 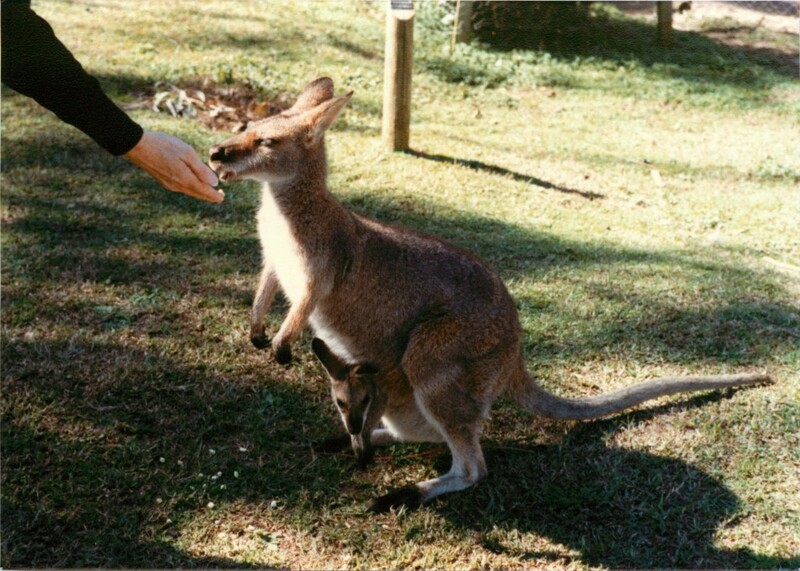 Take a close look… See the head of the joey in the 1st photo? Guess what? It belongs to the body in the 2nd photo. Pretty amazing, huh? That mama wallaby has my respect just by those big feet being tucked inside her pouch. 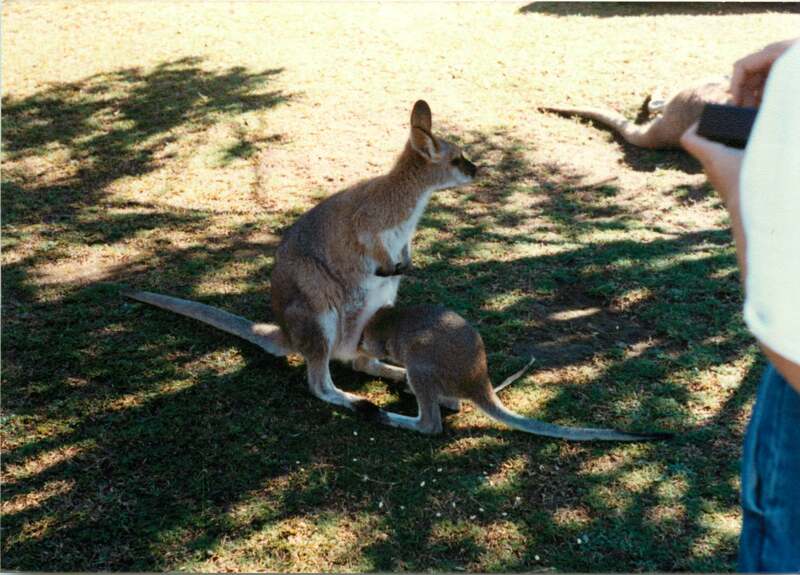 Here’s the thing… That mama wallaby is just doing what comes naturally – taking care of her joey. There’s not a thought of burden or overreaching. She’s enjoying a little snack from my aunt without even a thought that her pouch is really full. That’s a lesson I like to remember. When I look to my innate nature, I can handle a heck of a lot more than I sometimes think I can – and with grace. I bet you can, too. Would love to hear what reminds you of your strength. Leave a comment below.